Assouline presents VALENTINO: At the Emperor’s Table, a stunning visual and written account that enters the world of famed fashion designer Valentino Garavani, the emperor not only of fashion but also of l’art de vivre. As fashion editor and friend André Leon Talley writes in the introduction, “Valentino Garavani designs his luncheons and dinners, in all of his homes, the way he has created crescendos and allegros vivace throughout his forty-plus-year career as one of the greatest haute couture designers and high-fashion leaders in the world. 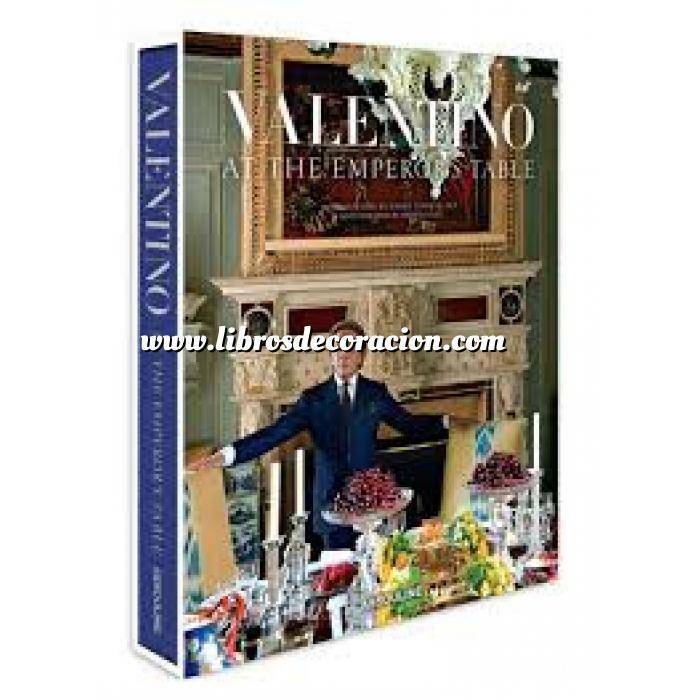 Assouline presents VALENTINO: At the Emperor’s Table, a stunning visual and written account that enters the world of famed fashion designer Valentino Garavani, the emperor not only of fashion but also of l’art de vivre. As fashion editor and friend André Leon Talley writes in the introduction, “Valentino Garavani designs his luncheons and dinners, in all of his homes, the way he has created crescendos and allegros vivace throughout his forty-plus-year career as one of the greatest haute couture designers and high-fashion leaders in the world.” Beauty and entertaining have long been passions of Valentino. “I am in love with beauty,” he admits in the book’s opening. “I have always loved beautiful objects.” Though beyond the tangible objets d’art housed in each of his residences, Valentino’s excellence as a host is defined by the warmth and joy he creates for his guests.